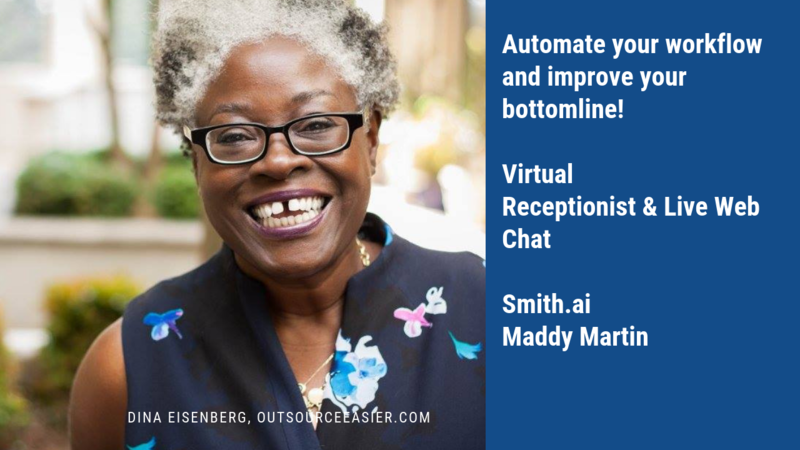 Earlier today, Dina Eisenberg, Esq., owner of Outsource Easier, hosted a live chat with Maddy Martin, Smith.ai's head of growth and education. Watch the video replay to tap into advice for building efficiency and balance into your small law practice. Dina and Maddy cover everything from handing off non-lawyering tasks, like intake and client exit interviews, to the importance of referrals (beyond an extra source of income). If you come away with just one thing, let it be that you are not alone. There are excellent and affordable software and services available to help you run a more sustainable, professional, and productive law practice that leave the reins in your hands. The result is that you can rest easily at the end of the day, knowing you have systems you can rely on that don't involve constant attention and intervention. Bottom line: Define your processes, and then delegate them, as much as possible, so you can focus on what you love (lawyering) and not what you don't (laboring). Watch Dina and Maddy's live chat on YouTube.